Case prepared by Ms. Anaïs Maroonian, Master student at the Faculty of Law of the University of Geneva, under the supervision of Professor Marco Sassòli and Ms. Gaetane Cornet, research assistant. A. Following a report of a criminal offence filed by Association D. on 19 October 2011, the Office of the Attorney General (hereinafter: OAG), by order of 19 October 2011, has opened a criminal investigation for war crimes (Art. 264b f. SCC, Art. 108 and 109 prev. SMCC) against A., born on 27 December 1937, Algerian national, former Major General in the Algerian army and former Minister of Defence. According to the above-mentioned report, A. would allegedly be responsible for the commission of war crimes during the Algerian internal armed conflict. The former Major General A. served as Minister of Defence and was a member of the junta that ruled the country after the military coup in 1992, which marked the beginning of a civil war in which the regime is believed to have made use of torture and other forms of extrajudicial atrocities as a state policy (OAG 01-00-0001). B. By letter dated 19 October 2011, B., statutory refugee in Switzerland since 5 June 1996, also filed a complaint against A. through his counsel. He claims that he was one of the many torture victims in 1993 (OAG 05-02-0001; 01-00-0001). C. By letter dated 20 October 2011, C., Algerian citizen living since 2003 in Switzerland where he has been granted refugee status, has also filed a complaint against A. for acts of torture committed against him since 1993 in Algeria. The complainant has also constituted himself as private claimant against A. and he has indicated an address with a Geneva lawyer for service (OAG 05-03-0001). D. Informed by Association D. as well as by the above-mentioned complainants of the presence of A. at the E. hotel in Z., the OAG, on 19 October 2011, issued an order for an enforced appearance against A., who was heard on 20 October 2011 as a person suspected of a crime (act. 1.4). On that occasion, the OAG chose not to seek A’s arrest. However, his presence in Switzerland for a second interrogation and possibly other acts of investigation was ensured by the delivery of alternative measures. During the hearing of 21 October 2011, the OAG revoked the alternative measures and the defendant expressed his willingness to comply with any summons by the OAG for further investigation (OAG 13-00-0022). E. On 21 November 2011, the Directorate for International Law (Direction du droit international public; hereinafter: DDIP) of the Swiss Federal Department of Foreign Affairs (Département fédéral des affaires étrangères, hereinafter: DFAE) sent the OAG its observations on the status of A.’s immunity, at the request of the prosecuting authority. The DDIP considers that A., as former Minister of Defence of the Republic of Algeria, continues to enjoy immunity from Swiss authorities for all acts performed in the course of his official duties; however, this is not the case for acts performed in his private capacity during his official mandate or for acts performed before or after this period (act. 1.6). F. On 23 November 2011, A. requested the OAG to issue a decision on its competence in the case at hand (OAG 02-00-0001). By order of 1 December 2011, the OAG declared itself competent. 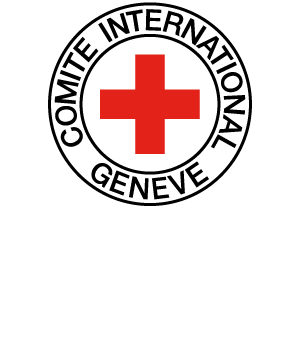 The OAG pointed out inter alia that, from 1 January 2011, crimes of genocide, crimes against humanity and war crimes are subject to (Swiss) federal jurisdiction and that whoever commits such acts abroad is punishable by Swiss law if he is present in Switzerland and is not extradited or delivered to an international criminal court whose jurisdiction is recognised by Switzerland (act. 1.1). 1. Declare the present appeal admissible. 2. Declare that the OAG is incompetent to take action against A., and that all proceedings against A. be dropped. 3. Cancel the Order dated 1 December 2011 of the OAG. 4. Dismiss any other or any contrary conclusions of the OAG. He presents the following grounds in support of his appeal: he argues that he enjoys jurisdictional immunity and that, in spite of the conditions set out in applicable law, the OAG has not taken the necessary steps for a possible extradition. He further argues that the OAG has violated the principle of non-retroactivity in that he is being prosecuted for acts that allegedly took place between 1992 and 1999 in Algeria whereas the prosecuting authority intends to apply provisions that came into force on 1 January 2011. According to A., Art. 108 f. prev. SMCC, which was in force at the time of the relevant facts, should be applicable to his case. Accordingly, his case would fall under the jurisdiction of military, and not civil, authorities. Nevertheless, the mentioned provisions require the existence of a close connection between the author of the acts and Switzerland, which is not the case here. Thus, Swiss military courts are not competent to prosecute him either (act. 1). H. In its response dated 9 January 2012, the OAG concludes that, even if A.’s appeal is admissible, it should be rejected insofar as it sought the annulment of the contested order and the dropping of charges on the ground of immunity, subject to claiming for costs and expenses. The OAG questions the possibility of appealing against the contested order. Regarding extradition, it argues that the Algerian authorities did not raise this possibility in A.’s case, nor did they show any interest in investigating similar crimes since the end of the armed conflict in Algeria. Furthermore, since 1 January 2011, the jurisdiction for trying such offences in Switzerland under Titles 12bis to 12quater SCC has been transferred to civilian courts. It also states that the principle of non-retroactivity does not apply in this case, nor is a fortiori any connection between the accused and Switzerland required. Finally, for all practical purposes, it contests the appellant’s right to invoke jurisdictional immunity in the case at hand (act. 6). In their comments dated 23 January 2012, B. and C. conclude that the appeal, even if admissible, should be rejected insofar as it demands the annulment of the OAG’s order dated 1 December 2011 and the dropping of charges due to immunity, in recognition of costs and expenses. They argue inter alia that the question of immunity is inadmissible, as it is not the subject of the contested order and that Switzerland is not obliged to enquire about the extradition of the accused as any such request would have been futile. Furthermore, they consider that the appellant is not entitled to any kind of immunity and, finally, that the OAG is competent to prosecute (act. 9). In his response dated 6 February 2012, the appellant maintains his previous conclusions. He points out that, during 1993 and 1994 (i.e., even after his resignation as Minister of Defence in July 1993), he had served on the Algerian High Council of State (Haut Comité d'Etat, hereinafter: HCE), the presidential collegial body responsible at the time for the governance of the country in the absence of a president. This body had "all the powers and attributes conferred by the Constitution to the President of the Republic". He therefore believes that he is entitled to an immunity ratione personae and ratione materiae for the period between 14 January 1992 and 30 January 1994 (act. 12). In a rejoinder dated 2 April 2012, B. and C. maintain their conclusions (act. 15). The OAG stated by letter dated on the same day that it has no further comments to make (act. 16). The arguments and evidence referred to by the parties shall be repeated in the recitals, if necessary. 2.1 In his first ground for appeal, the appellant claims that the conditions necessary to exercise Switzerland’s universal jurisdiction for the punishment of offenses referred to in Titles 12bis, 12ter or in Art. 264k, and more specifically in Art. 264m SCC are not fulfilled. The OAG and complainants do not share this view. 2.2 On 1 January 2011, a legislative amendment was enacted in order to include war crimes in the SCC (Title 12ter) and to set out common provisions for the prosecution of war crimes as well as genocide and crimes against humanity (Titles 12quater and 12bis SCC, RO 2010 4963, Message on the amendment of federal legislation in implementation of the Rome Statute of the International Criminal Court, 23rd April 2008 [hereinafter: Message]; FF 2008 3461). On the same date Art. 264m SCC, whose title in the margin is "Acts carried out abroad”, came into force. Art. 264m states that: "A person who carries out an act under Title 12bis and 12ter or Art. 264k while abroad is guilty of an offence if he is in Switzerland and is not extradited to another State or delivered to an international criminal court whose jurisdiction is recognised by Switzerland (Para. 1). Where the victim of the act carried out abroad is not Swiss and the perpetrator is not Swiss, the prosecution, with the exception of measures to secure evidence, may be abandoned or may be dispensed with provided: a) a foreign authority or an international criminal court whose jurisdiction is recognised by Switzerland is prosecuting the offense and the suspected perpetrator is extradited or delivered to the court; or; b) the suspected perpetrator is no longer in Switzerland and is not expected to return there (Para. 2). Art. 7 (4) and (5) shall apply unless the acquittal, or the remission or application of time limits to execution of the sentence abroad has the aim of protecting the offender from punishment without justification (Para. 3)”. 3 In his appeal and again, in greater detail, in his response (act. 12), the appellant challenges the conditions of application of the above-mentioned norm. In particular, he denies having any close connection with Switzerland apart from the fact that he was on Swiss territory on 20 October 2011, the day of his arrest. Furthermore, according to him, the condition of the impossibility of his extradition is not fulfilled in the case at hand. 3.1 As regards the close connection with Switzerland, pursuant to Swiss law the presence of the accused on Swiss territory is an essential condition for conducting legal proceedings in Switzerland for acts committed abroad (Art. 264m (1) SCC; Message, FF 2008 3547). This condition must be met at the time of the opening of the criminal procedure. On the question of whether the offender’s presence is required throughout the proceedings, jurisprudence related to Art. 5 and 6 prev. SCC excluded judgments in absentia in the case of the offender’s departure from Switzerland prior to trial (Arrêt du Tribunal fédéral 108 IV 145, i.e., Swiss Federal Court decision (hereinafter: ATF)). However, as affirmed by legal doctrine, this issue should be reviewed: if prosecution is initiated when the perpetrator is in Switzerland, his later departure should not necessarily extinguish Swiss jurisdiction (HENZELIN, Commentaire CP I, No. 26 on Art. 6 SCC). As regards the case at hand, this interpretation appears to be supported by a textual interpretation of Art. 264m SCC. Art. 264m (2b) SCC does not prescribe the immediate and automatic abandonment of legal action in the case of the offender’s departure from the country; however, if neither the offender nor the victim is of Swiss nationality, it is within the prosecuting authority’s discretion to decide whether it wants to suspend or dispense with the proceedings if the perpetrator is no longer present in Switzerland and is unlikely to return. What is at stake here is the effectiveness of the prosecution of serious offences committed abroad by foreigners who visit Switzerland only occasionally or transit through Switzerland. From this perspective, an overly strict interpretation of the condition of the offender’s presence on Swiss territory would in practice amount to allowing the offender to decide whether or not the prosecution shall proceed. This was not, however, the intention of the Swiss legislator in adapting its national law to enable Switzerland to effectively participate to the international effort to punish human rights violations. Consequently, the presence of the suspect in Switzerland at the moment of the convocation and interrogation by the prosecutor is sufficient. The mere fact that at present he is no longer in the country, is not enough to hinder the proceedings opened by the OAG. 3.2 The appellant also questions the OAG’s jurisdiction on the grounds of passive personality. The Algerian nationality of the complainants at the time of the facts excludes any association, even passive, with Switzerland. As per the former Swiss law, the principle of passive personality (offence committed abroad against a Swiss national) was regulated by Art. 5 prev. SCC, while the principle of active personality (offence committed abroad by a Swiss national) was regulated by Art. 6 prev. SCC. Art. 7 SCC, which came into force on 1 January 2007, shall henceforth apply both to cases involving Swiss offenders and Swiss victims (Message on the modification of the SCC [general provisions, coming into force and application of the SCC] and of the SMCC and a federal law governing the criminal status of minors of 21 September 1998; FF 1999 1804; HENZELIN, op. cit., No. 4 on Art. 7). Scholars are not, however, unanimous with regard to the moment used to define the nationality of the perpetrator and the victim. Some of them consider that both the victim and the perpetrator must have Swiss nationality at the time of the offense (LOGOZ, Commentaire du code pénal suisse, Partie générale, Neuchâtel Paris, 1955, p. 45, No. 2, p. 49, No. 2, DUPUIS ET AL., Petit Commentaire, Code pénal [hereinafter: PC CP], Basel 2012, No. 2 on Art. 7). For others (POPP/ LEVANTE, Basler Kommentar, Berne 2007, on Art. 7, No. 12 and 13 and legal doctrine cited above), it is the nationality of the perpetrator at the time of judgment that is taken into account, while in the case of the victim it is his nationality at the time of the offense that is decisive. As for jurisprudence, under the old provisions (Art. 6 prev. SCC), the Swiss Federal Court deemed that the offender should be treated as a Swiss national if he acquires Swiss nationality after the commission of the offence abroad (ATF 117 IV 369 cons. 6). In this light, and given the spirit of the last amendment to Art. 7 SCC, which does not make a distinction between active and passive personality, these being now merged in one single provision, it is difficult to understand why the nationality of the victim should not be assessed according to the same criteria as those used to determine the nationality of the offender (that is, the existence of Swiss nationality at the time of the judgment). In the present case, this issue doesn’t need to be discussed any further since Art. 7 SCC is not applicable and the jurisdiction of the OAG is in any case granted under Art. 264m (1) SCC (infra cons. 3.3 f.). As it is not valid, this ground for appeal should be dismissed. 3.4 The appellant subsequently claims that the condition laid down in Art. 264m SCC concerning the impossibility of the extradition of the offender is not met in the case at hand. The Note on the implementation of the Rome Statute specifies the meaning of the mentioned condition, namely that it should not be possible to extradite the perpetrator even if he has committed an offense that is subject to extradition. In setting out this condition on persons not having Swiss nationality, the Swiss legislator expresses its preference for criminal proceedings held in the State on whose territory the offence was committed (territoriality principle) or in the State of nationality of the perpetrator (active personality principle). In cases where extradition may be considered, and subject to other obstacles, Swiss justice is therefore competent only if the other state has explicitly or implicitly renounced to the institution of criminal proceedings. However, the Note also points out that any extradition request where there is concrete evidence suggesting that the requesting State is unwilling or unable genuinely to carry out the investigation or prosecution, or that in case of extradition, the offender will not be sentenced to a just punishment, shall be rejected. In such cases, if the State in which the crime was committed does not require extradition, Swiss authorities may exceptionally waive the obligation to submit an explicit request (Message; FF 2008 3492). These developments reflect and confirm what the Swiss Federal Court had already specified in ATF 121 IV 145, namely that if there is concrete evidence suggesting that the State where the crime was committed is not willing to seriously prosecute the offender or to impose a fair sentence, if the interests of Swiss victims are left unprotected and if no extradition is required, the Swiss authorities may exceptionally waive the obligation to submit an express request (cons. 2 cc). As per the jurisprudence of Art. 19 Chapter 4 of the Federal Act on Drugs - to which we may refer (PC CP on Art. 6 No. 5) as this provision also refers to the notion of "and he [the offender] is not extradited" - the Swiss Federal Court specified that Swiss authorities are competent when extradition is not possible even if no request has been made by the foreign state. Furthermore the Swiss Federal Court clarified that the rejection of any extradition request is sufficient to confer on Switzerland an obligation to prosecute and adjudicate on the offence as per the adage aut dedere aut judicare (SJ 1991, p. 143; act. 6.1). Moreover the Swiss Federal Court noted that, in this context, the expression "and he [the offender] is not extradited" shall simply mean that the offender is not transferred, regardless of the reasons why (ATF 137 IV 33, cons. 2.1.3; 116 IV 244 cons. 4a). Swiss justice shall certainly ensure that, where extradition is not excluded, it will not be requested (ATF 116 IV 244 cons. 4a). But in an earlier case, the High Court had also stated that the judge may, under exceptional circumstances, acquit itself of this obligation if it is impossible to obtain the views of the State concerned within a reasonable period of time (Swiss Federal Court decision 1S.1/2004 cons. 5 and references therein). This principle is thus not inviolable. Moreover, it is the relevant conventions that determine which is the prevailing principle between prosecution and extradition (HENZELIN, op. cit., No. 32 on Art. 6). The four Geneva Conventions of 1949, to which both Switzerland and Algeria are party, make a clear choice in prioritising prosecution over the handing over or the extradition of the offender (Art. 49 GC I, Art. 50 GC II, Art. 129 GC III, Art. 146 GC IV). This means that States parties to these Conventions shall find out whether possible perpetrators of war crimes are within their jurisdiction and initiate proceedings against them (Complementary criminal law measures required for the implementation of Rome Statute of the International Criminal Court, draft and explanatory report, p. 37). It follows that if a state has information that a war criminal would be arriving soon on its territory, it shall investigate even if no request for extradition has been made. It cannot rely on the alleged absence of the person from its territory to a priori deny its competence (HENZELIN, op. cit., No. 7 on Art. 6). In this case, Algeria, informed of the arrest of the appellant on 20 October 2011, on the same day approached the DFAE both in Algiers and in Berne to "express its serious concern in this regard" (act. 1.6 p. 1). Since then, as far as this Court is aware, Algeria has no longer approached the Swiss authorities. Moreover, the appellant is no longer in Switzerland. In fact, after having been heard by the OAG, he left the country to return to Algeria where no legal procedure has apparently been initiated against him since. Besides, it is unlikely that such an event will occur. Indeed, no action has ever been taken against those holding power during that critical period. On the contrary, as per Art. 44 of Order No. 06-01 dated 27 February 2006 concerning the implementation of the Algerian Charter for Peace and National Reconciliation, Algerian law states that citizens who, through their commitment and determination helped save Algeria and preserve the achievements of the country, have proven their patriotism. Art. 45 specifies that: "No action may be taken, individually or collectively, against members of the defence and security forces of the Republic, in all components, for actions carried out for the protection of persons and property, the preservation of the country and of the institutions of the People’s Democratic Republic of Algeria. Any accusation or complaint shall be declared inadmissible by the competent judicial authority". Finally, Art. 46 states that "shall be punished by imprisonment of three to five years and a fine (..) anyone who, by speech, writing or by any other means, uses or exploits the wounds of the national tragedy to harm the institutions of the People's Democratic Republic of Algeria, weaken the state, harm the reputation of its agents who served honourably, or tarnish the international image of Algeria." In light of these provisions, it appears that no action can be currently taken in Algeria against the senior officials holding power during the events that form the factual basis of the present legal procedure as they would be illegal. Any request for extradition by Algeria concerning the appellant is thus impossible. It follows from this that the OAG had sufficient grounds to believe that no request for the extradition of the appellant would ever be made to Switzerland. The condition laid down in Art. 264m SCC according to which the perpetrator is not extradited, is therefore satisfied. 3.6 Finally, for Art. 264m SCC to be applicable, the suspected offender shall not be handed over to any international criminal tribunal whose jurisdiction is recognised by Switzerland. In order to hand a suspect over to an international tribunal, it is sufficient that the jurisdiction of the said court be recognised by Switzerland and that a request be made (Message; FF 2008 3546). However, in this case, as pointed out by the OAG, there is no special international tribunal for Algeria. Furthermore, according to Art. 12 (2) of the Rome Statute, the International Criminal Court (hereinafter: ICC) may exercise its jurisdiction only if the State on whose territory the crime of genocide, crime against humanity or war crime was committed, or the country of which the perpetrator is a national, is a party to the Rome Statute. In other words, the ICC has, in principle, no jurisdiction when a crime has been committed on the territory of a State and by a national of a State that is not party to the Statute (Message; FF 2008 3491). Algeria is not a party to the Rome Statute. Therefore, as the ICC cannot be seized of the present case, the last condition for the application of the above-mentioned Article is also fulfilled. 3.7 In light of the foregoing considerations, contrary to what the appellant argues, nothing prevents the application of Art. 264m SCC in the case at hand. 5.1 In his final ground for appeal, the appellant claims immunity from jurisdiction. In his opinion, the charges against him are related to war crimes that he would have allegedly committed in the exercise of his functions as Minister of Defence during the years 1992 and 1993. Moreover, as a former member of the HCE, he also benefits from full immunity from jurisdiction for the entire period under investigation by the OAG. The latter, for its part, questions the admissibility of the present ground of appeal at this stage of the proceedings insofar as this issue is not the subject of the contested decision. In case the Court decides to entertain this ground for appeal, the OAG concludes in favour of the dismissal of the appeal. The complainants argue that the appellant is not entitled to immunity from jurisdiction. 5.2 Once the competence of the OAG to take up the case is acknowledged, the principle of procedural economy requires that the present Court look at the question of whether there is a procedural obstacle arising from the suspect’s status which prevents the authority from exercising its judicial power despite being competent (Report of the International Law Commission, 63rd Session, 26 April-3 June and 4 July – 12 August 2011, document of the 66th General Assembly of the UN A/66/10, No. 163 and following [hereinafter: UN Report 2011]; ICJ judgment of 14 February 2002 concerning the arrest warrant of 11 April 2000 No. 46 [hereinafter: ICJ judgment of 14 February 2002 concerning arrest warrants or the Yerodia case]). Contrary to the OAG’s opinion, the question of the accused’s immunity status shall be discussed at the start of the procedure itself. It would be incomprehensible to allow for the opening and the pursuance of a legal procedure when doubts were still present as to the immunity status of the accused. Apart from being contrary to the above-mentioned principle of economy, such an approach could also affect Switzerland’s international relations. It is therefore possible and necessary to take up this reason for appeal. 5.3 Jurisprudence already clarified that, as far as immunity from criminal jurisdiction is concerned, the principles of international public law are part and parcel of Swiss law. Serving Heads of State are absolutely exempt "ratione personae" from state coercion and any form of criminal jurisdiction of a foreign state for acts they may have committed, regardless of place, in the exercise of their official functions (ATF 115 Ib cons. 5b and legal doctrine cited above). According to these principles, the immunity of Heads of State is a legal principle enshrined in customary international law. It derives from the immunity and the sovereignty of the State the person represents (Legal note, DDIP 22 February 2001, Revue suisse de droit international et européen 2004, p. 684). Former Heads of States continue to enjoy immunity from criminal jurisdiction for acts performed in the exercise of their functions. This immunity is similar to that accorded to diplomatic staff as per Art. 39 (2) of the Vienna Convention of 18 April 1961 on Diplomatic Relations (Recueil systématique du droit fédéral 01.191.01, i.e., classified compilation of the federal law (hereinafter: RS)), which states that the immunity from criminal jurisdiction persists after diplomatic functions cease with respect to acts performed by the diplomatic agent in the exercise of his functions as a member of his country’s mission (Communication of 15 January 2009 DDIP to the Federal Office of Justice, cited in BESSON, Droit international public, Berne, 2011, pp. 94-95). The question of immunity of a Head of State after the cessation of his governmental functions is, however, no longer a matter of unanimity among international scholars and jurisprudence in several countries (infra cons. 5.3.3 - 5.3.6). 5.3. On the subject of immunity, there are generally two distinct notions: personal immunity (ratione personae) and functional immunity (ratione materiae). The need to improve international cooperation has led to Heads of State, Heads of government and Ministers of Foreign Affairs (commonly referred to as "the Triad") being accorded ratione personae immunity in respect of all acts performed whilst in office, including those performed in a private capacity. Customary international law has traditionally accepted that Heads of State enjoy such ratione personae privileges in recognition of their mandate and as a symbol of the sovereignty that they embody by reason of their representative nature in inter-State relations. (ATF 115 Ib 496 cons. 5b). Immunity from criminal jurisdiction must, in particular, serve to prevent governmental activity from being paralyzed by politically motivated criminal accusations made against high-ranking foreign officials (ATF 130 III 136 cons. 2.1). Ratione personae immunity covers acts performed by a State representative both in an official and a private capacity, before and during the period in office. This kind of immunity is of a temporary nature because it is attached to the official function of its beneficiary and it becomes effective from the moment when the person officially takes up his functions up until the end of its official duties (Preliminary report on immunity of State officials from foreign criminal jurisdiction, International Law Commission, 60th Session, 2008, A/CN.4/601, No. 79 [hereinafter: Preliminary Report 2008]). In the Yerodia case, the ICJ noted that only those representatives who occupy high positions in the state hierarchy shall benefit from this immunity. This is the case of serving Ministers of Foreign Affairs who enjoy absolute immunity from the jurisdiction of other States. 5.3.2 As regards functional immunity (ratione materiae), it is agreed that representatives of foreign states other than the Triad members and officials who do not enjoy other immunities as members of the diplomatic or consular corps or as officials of international organisations covered by the headquarters agreement made by the relevant international organisation or by national law, shall enjoy, in principle, immunity from jurisdiction and from execution in foreign States. This immunity arises from acts performed in the exercise of official duties (ZIEGLER, Introduction au droit international public, Berne, 2011, p. 293, No. 659 and No. 660). The aim of functional immunity is both to protect the foreign official from the consequences of acts attributable to the State for which he is acting and thereby to ensure that State sovereignty is respected. It is generally accepted that functional immunity prevails for official acts performed whilst in office even after leaving office (Preliminary Report 2008, No. 80). However, this functional immunity, more commonly referred to as residual immunity, cannot protect a former official against criminal prosecution for offences committed before or after leaving office nor for criminal offenses committed during the period whilst in office but which are not connected to that public function (CASSESE/ACQUAVIVA/FAN/WHITING, International Criminal Law, Oxford, 2011, pp. 76-77). 5.3.3 In respect to the residual immunity of Heads of State and more generally members of the Triad, the ICJ observed that the official shall cease to enjoy all immunities from jurisdiction in other States accorded to him by international law as soon as he ceases to hold the office of Minister of Foreign Affairs. Provided that it has jurisdiction under international law, a court of one State may prosecute a former Minister of Foreign Affairs of another State for acts committed before or after the period during which he held office, as well as for acts which were committed in his private capacity during this period. In the same judgment, the ICJ also pointed out that the immunity from jurisdiction enjoyed by a Minister of Foreign Affairs in office does not mean that he enjoys impunity for crimes, regardless of their severity. Jurisdictional immunity may well be an obstacle to prosecution for a certain period of time or for certain offences, but it does not exonerate the beneficiary from all criminal responsibility (ICJ judgment of 14 February 2002 on arrest warrant, No. 60 and No. 61). 5.3.4 The legal doctrine, referring to both the emergence of new conventions and international institutions dedicated to the respect of humanitarian jus cogens rules and the existence of several judgments issued on this subject by national and international courts, has highlighted the emergence of an evolution towards an increase in the causes of exceptions to immunity from jurisdiction (cf. BELLAL, Immunités et violations graves des droits humains, Brussels 2011, especially p. 214 f.; VAN ALEBEEK, The Immunity of States and Their Officials in International Criminal Law and International Human Rights Law, Oxford, 2008, especially p. 200 f.; TOMUSCHAT, « L'immunité des Etats en cas de violations graves des droit de l'homme », Revue Générale de Droit International, 2005, p. 5174; BIANCHI, « L'immunité des Etats et les violations graves des droits de l'homme », Revue Générale de Droit International Public, 2004, pp. 64-101). These exceptions are targeting the ratione personae immunity of incumbent Heads of State and the ratione materiae immunity of former Heads of State and high ranking State officials in cases of serious human rights violations as immunity ratione materiae depends on the quality of the acts in question and no longer on the official functions of the holder of the post, whose public role is terminated (BESSON, op. cit., p. 93; CANDRIAN, L'immunité des Etats face aux droits de l'Homme et à la protection des biens culturels, Zurich 2005, p. 484). Scholars frequently refer to the gradual erosion of immunity before national courts (GAETA, Immunity of States and State Officials: A Major Stumbling Block to Judicial Scrutiny? In Realizing Utopia [ed. CASSESE. ], Oxford, 2012, p. 229; BESSON, op. cit., p. 96; BIANCHI, op. cit., p. 90). 5.3.5 As exceptions to the immunity of Heads of State already existed since 1984 in conventional international law (Art. IV of the Convention on the Prevention and Punishment of the Crime of Genocide of 9 December 1948 [RS 311.11, hereinafter: Convention against Genocide], cf. also Art. 1 and 5 of the Convention against Torture and Other Cruel, Inhuman or Degrading Treatment or Punishment of 10 December 1984 [RS 0105; hereinafter: Convention against Torture]), it is undeniable that there is an explicit trend at the international level to restrict the immunity of (former) Heads of State vis-à-vis crimes contrary to rules of jus cogens. The prohibition against genocide and crimes against humanity, including the prohibition of torture, are part of jus cogens, and is therefore mandatory (Message; FF 2008 3474). The establishment of international tribunals, including the ICC and the tribunals for the former Yugoslavia and Rwanda are the most obvious examples of the above-mentioned trend. Governed by the Rome Statute, the ICC is the first permanent international criminal court established to help ending impunity of the perpetrators of the most serious crimes affecting the international community and which are therefore recognized as part of jus cogens, regardless of the official capacity of the perpetrators. As such, the ICC embodies the aspirations of the international community, which has over time reached a consensus on the urgent need to prosecute acts of genocide, crimes against humanity and war crimes. To this end, Art. 27 of the Rome Statute stipulates that the official quality of a Head of State or Head of government does not exonerate him under any circumstances of criminal responsibility, and that immunities attached to the official capacity of a person do not preclude the ICC from exercising its jurisdiction (SCHILLER, “Die völkerrechtliche Immunität amtierender Staatsoberhäupter als Verfahrenshindernis vor dem Internationalen Strafgerichtshof”, Journal of International Law of Peace and Armed Conflict, 2011, pp. 30-38). This trend in international law is also reflected at the national level, where a similar evolution to put an end to impunity for the most serious crimes can be observed. A significant change in international practice can be recognized from the 1990s. The House of Lords judgments concerning the former Chilean president Augusto Pinochet issued in those years can be regarded as examples here fore. In the Pinochet case, the British authorities ruled on three separate occasions that the immunity of the former dictator could not exempt him from criminal responsibility for violations of human rights committed outside of his duties as a Head of State (cf. BESSON, op. cit., p. 94; WISE/PODGOR/CLARK, International Criminal Law: Cases and Materials, San Francisco, 2009, pp. 379-398). The Lords held that the Convention against Torture could not coexist with the principle of ratione materiae immunity for the acts of torture that the former Chilean President had committed during his term of office.Since this case, ratione materiae immunities of former Heads of State are no longer automatically granted vis-à-vis individual criminal responsibility, even for acts performed whilst in office. 5.3.6 The scope of immunity from foreign criminal jurisdiction enjoyed by a State representative has been under consideration by the International Law Commission of the United Nations during the past few years (hereinafter: ILC). A Preliminary Report on the immunity of State officials from foreign criminal jurisdiction was made in 2008 (Preliminary Report 2008) and, more recently, the ILC published the ILC Report 2011. Although the work of the ILC on the subject is not yet final, it has given rise to the emergence of opposing views. In a nutshell, the Special Rapporteur of the Commission bases his arguments exclusively on lege lata and tends to consider immunity as a norm that is not subject to exceptions (UN Report 2011, No. 121). The opposing viewpoint has described the rapporteur’s position as being partial since it does not take into account the current developments in international law concerning, in particular, the issue of serious crimes under international law (UN Report 2011, No. 117). Be that as it may, it would appear from the ongoing work of the Commission that the absolute nature of ratione personae immunity of incumbent Triad members is affirmed as the leading view since any exception in this area would prevent concerned parties from performing their functions. However, on the other hand, exceptions to ratione materiae immunity in cases where crimes under international law are committed might be pertinent (UN Report 2011, No. 113). On this point, it has been suggested to exclude immunity on the basis of the nature of the acts committed, such as private acts, illegal acts or ultra vires acts. In such cases, State officials would not be acting in their official capacity (UN Report 2011, No. 113, No. 134 and No. 135). In conclusion, what emerges from the report is the Commission’s caution in carefully addressing the issue of immunity in order to achieve an acceptable balance between the need to ensure the stability of international relations and the need to avoid impunity of the perpetrators of serious crimes under international law (UN Report 2011, No. 119). 5.4 The proper evaluation of the case at hand requires a brief overview of the situation in Algeria at the time of the facts (1991-1993). After the interruption of the electoral process in December 1991, which had seen the Islamic Front for Salvation (Front islamique de salut, hereinafter: FIS) winning the parliamentary elections in June 1990, Algeria has experienced a period of great political and social instability. Fearing the loss of power and the establishment of an Islamic republic, the government cancelled the elections immediately after the first round. On 11 January 19921, following a military coup, President F. resigned after the army forced him to dissolve the National Assembly in order to avoid an interim government (IMPAZAGLIO/GIRO, Algeria in ostaggio, Milan 1997, pp. 40-41). Presidential power was thereafter exercised by a collegial body established on 14 January 1992 and called the HCE. G., a leader of the National Liberation Front (Front de Libération Nationale, hereinafter: FLN) was chosen to chair the HCE (ZIREM, Algeria: La guerre des ombres, Brussels 2002, p. 10). The other members of the HCE were A. (former General), H. (Rector of the Paris Mosque, urgently called back from France), I. (President of a human rights organisation) and J. (Head of the Association of Mujahedeens, former liberation fighters) (IMPAZAGLIO/GIRO, op. cit., p. 41). A state of emergency was declared on 9 February 1992 and the FIS was dissolved by an administrative decision of 4 May 1992 (ZIREM, op. cit., p. 49). The assassination of G. on 29 June 1992 marked the start of a period of civil war which lasted about 10 years. The government pursued an aggressive and systematic policy against the Islamists, who formed armed groups and mounted terrorist attacks that gradually spread to all regions of the country. Since the beginning of the conflict, non-governmental organisations and the UN expressed their deep concern with respect to the militarisation of the country, the indiscriminate use of violence by security forces, the instances of arbitrary arrests, deportations, disappearances, summary executions, torture and ill-treatment. It has been estimated that the fighting in Algeria during the period of the armed conflict resulted in the death of 200 000 people, and that the number of missing has been estimated between 4,000 and 7,000 (cf. DEL MINISTRO, Algeria. Dalla Guerra civile alla Riconciliazione, Bologna 2009, p. 88. Commission On Human Rights, 59th session, 9 January 2003, United Nations, Economic and Social Council, E/CN.4/3003/66/Add.1, Nos 19, 20). As regards appellant in particular, he is often referred to in the studies related to the events in Algeria during that period as being part of the group of "eradicators" as opposed to the group of "reconcilers" (ZIREM, op. cit., p. 10), the first group being suspected for its responsibility in the prison massacres (DEL MINISTRO, op. cit., p. 121, footnote No 5). 5.4.1 A. is suspected of having committed war crimes between 1992 to 1999 (OAG 01-00-0001, 13-00-0005); he is also suspected of having tortured several persons in Algeria in 1993, including B. and C. It is clear from his statements that A., enrolled as a soldier, has undertaken his entire training in Algeria. At the beginning of his career, he was an officer in the French army, which he deserted during the Algerian war. In 1988, he was commander of the land forces under F’s presidency, and later deputy and Chief of Staff of the Army (OAG 13-00-0006). After the fall of President F. (11 January 1991), from late 1991/early 1992 to 10 July 1993, he confirms his position as Minister of Defence of the country. He further admits having been a member of the HCE during the same period (OAG 13-00-0007). The HCE was in power for two years (beginning 1992 - end 1993). As stated at the hearing on 20 October 2011, the appellant declared that during the time he was a member to the HCE, he was indeed part of the executive collegial body that ruled the country. According to his own statements, the policy and conduct of the country were in the hands of the HCE and there were no other ruling bodies such as the Parliament. The HCE was created to replace the presidency and assume its duties; it took decisions about the country, which were then executed by the government (OAG 13-00-0008). As a member of the HCE and as Minister of Defence, the appellant had the dual role of member of the governmental body and head of the armed forces. According to his statements, he resigned from these two functions on 10 July 1993 (OAG 13-00-0008). Contrary to what is affirmed in his response of 6 February 2012, where it is stated that the appellant had served in the HCE during the years 1993 and 1994 (supra letter H), at the hearing the appellant categorically stated that his function as a member of the HCE ended with the expiry of his term as Minister of Defence (OAG 13-00-0011). However, it is not clear from the current state of the case and from the declarations of the suspect himself whether he continued to exercise, directly or indirectly, institutional roles in the conduct of the army, or more generally of the country after that. Nevertheless, according to him, although he did not have any official position (OAG 13-00-0011), he remained close to power and had been instrumental in appointing K., his successor as Minister of Defence (OAG 13-00-0008). 5.4.2 In light of the above-mentioned principles of international law (supra cons. 5.3.1), A.’s membership in the government collegial body HCE would be sufficient to grant him ratione personae immunity during his term of office. This subject, however, does not need further clarification since, according to the wide interpretation provided by the ICJ in the Yerodia case, the interpretation followed by some national courts (see especially COSNARD and NOUVEL, “Jurisprudence française en matière de droit public”, Revue Générale de Droit International Public 2011, pp. 593-604, commentary on the Cour de Cassation Criminal Chamber judgment of 19 January 2010; association for the families of victims of the Jola sinking and others where ratione personae immunity of the defence minister was admitted) and the ILC (Report 2011, No. 192), ratione personae immunity during the term of office does not apply exclusively to the members of the Triad. The incumbent defence minister also enjoys similar immunity. As such, A. benefitted from ratione personae immunity during the period in which he held office. This immunity is now extinct. 5.4.3 In the case at hand, the question is whether, after the cessation of official duties, the appellant continues to enjoy immunity on other grounds. Following consultations with the DFAE by the OAG, it was confirmed from the outset that A. is not entitled to diplomatic status or accreditation in Switzerland that could protect him from criminal prosecution, and it was verified that the document in his possession only granted him transport privileges (OAG 13-00-0005). It remains to be decided whether residual ratione materiae immunity covers all acts committed by A. during his office and supersedes the need to ascertain his possible responsibility with respect to the alleged serious violations of human rights. According to the principles that emerge from the legal doctrine and jurisprudence discussed above (supra cons. 5.3.3 to 5.3.6), an affirmative answer to this question is no longer unanimous. In fact, it is generally recognised that the prohibition of serious crimes against humanity, including torture, falls under customary law. This approach is shared by the Swiss legislator, according to the principle for which "the prohibition of genocide, crimes against humanity and war crimes is mandatory in nature (jus cogens)". According to the Swiss legislator, "States are required to enforce this prohibition regardless of the existence of conventional rules and their validity. This duty aims at preserving the fundamental values of humanity and should be fulfilled regardless of the attitude of other States (erga omnes)" (Message; FF 2008 3474). In light of the fundamental value of the human rights at stake, the Swiss legislator has decided to "ensure a firm commitment to the suppression of such acts" (Message; FF 2008 3468). It would be contradictory and futile to, on the one hand, affirm the intention to combat against tSwitzerland, The Immunity of General Nezzarhese grave violations of the most fundamental human values and, on the other, to accept a wide interpretation of the rules governing functional or organic immunity (ratione materiae), which would benefit former State officials with the concrete result to hinder, ab initio, any investigation. In such case, it would be difficult to admit that conduct contrary to fundamental values of the international legal order can be protected by rules of that very same legal order. Such situation would be paradoxical and the criminal policy adopted by the legislator would be condemned to remain dead letter in almost all cases. This is not what the legislator wanted. It follows that, in the present case, the suspect cannot claim any immunity ratione materiae”. 5.5 For acts committed before taking office as Minister of Defence of the Republic of Algeria, as well as for acts committed after the end of his term, no jurisdictional immunity can be granted to A. 6 In the light of the above-mentioned points, this appeal is rejected. Which violations of IHL do the Swiss authorities allege Mr. Nezzar to be responsible for? Why would IHL have applied at the time of the suspected crimes? Did Protocol II apply? Under IHL, does extradition take priority over prosecution based on universal jurisdiction? May or must Switzerland establish its jurisdiction in this case? Does it matter, for the purpose of establishing Swiss jurisdiction, that the two victims reside in Switzerland? Under international law? Does Mr. Nezzar benefit from international immunity for his alleged crimes? Does the Court recognize this immunity? How does the Court deprive him from his immunity? How could it be justified that Mr. Nezzar does not benefit from international immunity for his alleged crimes? How could it be argued that the obligation to prosecute Mr. Nezzar prevails over his immunity ? In the hypothesis that Mr. Nezzar benefits from immunity, should the Swiss authorities respect it even if Mr. Nezzar did not invoke it? May the Swiss authorities prosecute Mr. Nezzar despite the amnesty he was granted in Algeria? Did such an amnesty violate IHL? Has Algeria agreed that its nationals may be prosecuted for violations of Protocol II by ratifying Protocol II? May Switzerland apply its 2012 legislation to Mr. Nezzar for acts committed between 1992 and 1999? Even if, before 2012, Switzerland would not have had, under its legislation, jurisdiction to prosecute him?